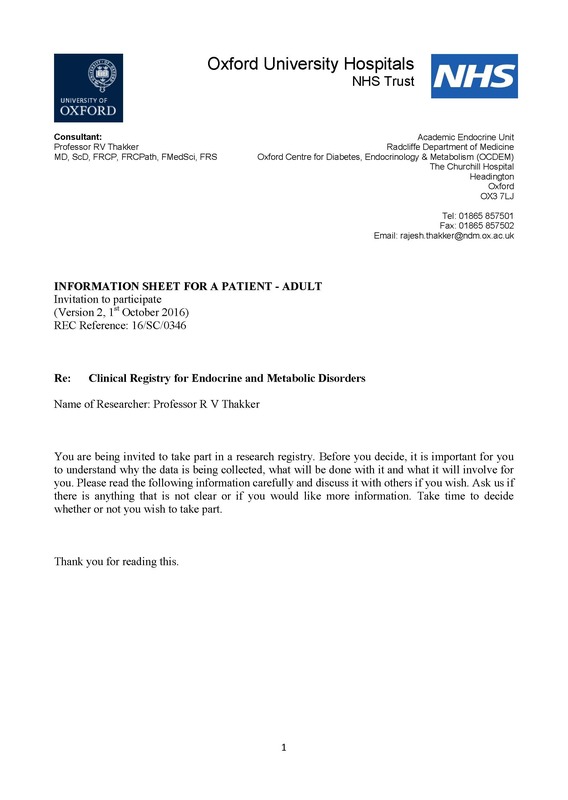 The aim of UK National MEN1 & PNET Research Registry is establish a national database of patients with endocrine and metabolic disorders, as this will help to: 1) provide important clinical information that will help us to understand the epidemiology, natural history and genetic causes of these diseases; 2) understand the use of investigations and how effective certain treatments are; 3) formulate clinical practice guidelines that will improve patient care; and 4) further our understanding of the mechanisms underlying these disorders. The Registry will collect medical and other information about people who have endocrine and metabolic disorders, and their relatives. 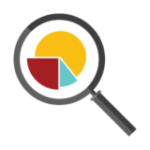 This information will be stored on the Endocrine Registry and made available for researchers to use where appropriate. 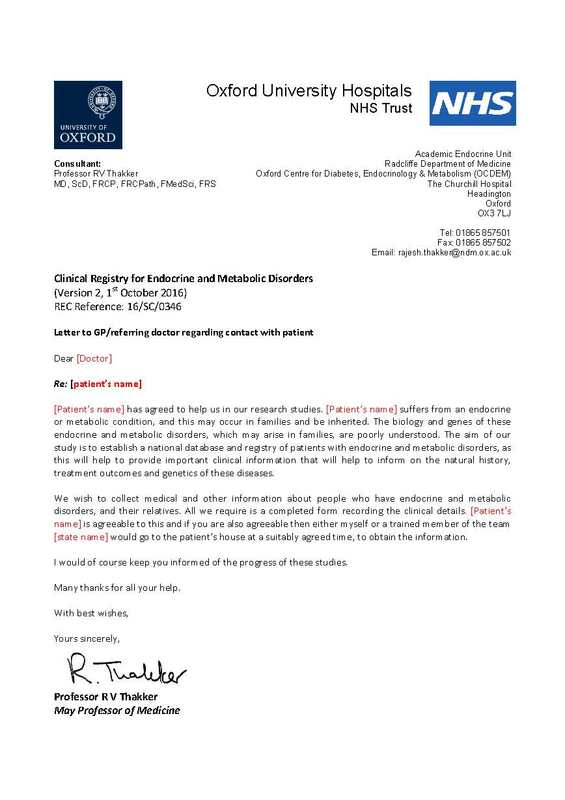 This work is funded by the Medical Research Council (MRC), Wellcome Trust (WT), National Institute for Health Research (NIHR), Kidney Research UK (KRUK), European Union (EU) grants, NIHR Oxford Biomedical Research Centre (NIHR OxBRC), and Marshall Smith Syndrome Research Foundation. 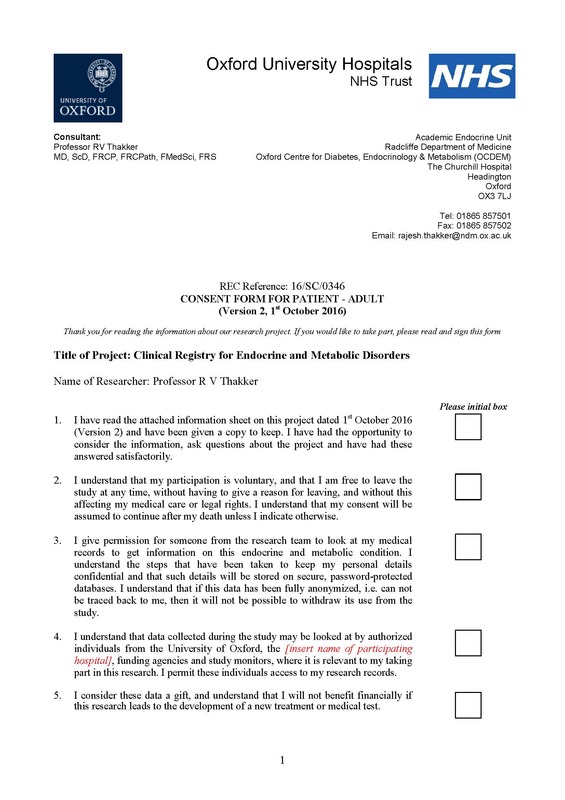 If you are interested in participating by sharing your medical information with the Research Registry then please refer to the Information Leaflet, Consent Form and GP Letter below.